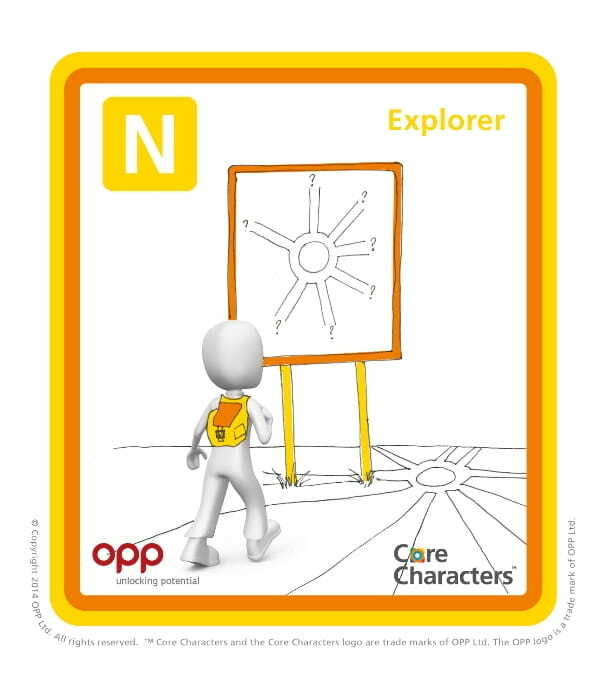 There’s clear value in working with the MBTI framework at the level of the individual letters E, I, S, N etc and combinations of letters, eg ST, SF, NF, NT. However, in my opinion, the real power of MBTI insights is in exploring with clients the dynamic interaction between all of the parts of their Type; that is, the hierarchy of functions (S, N, T and F) that points to how accessible and how developed each is likely to be. The challenge is that it can feel difficult to talk about them without becoming too technical. 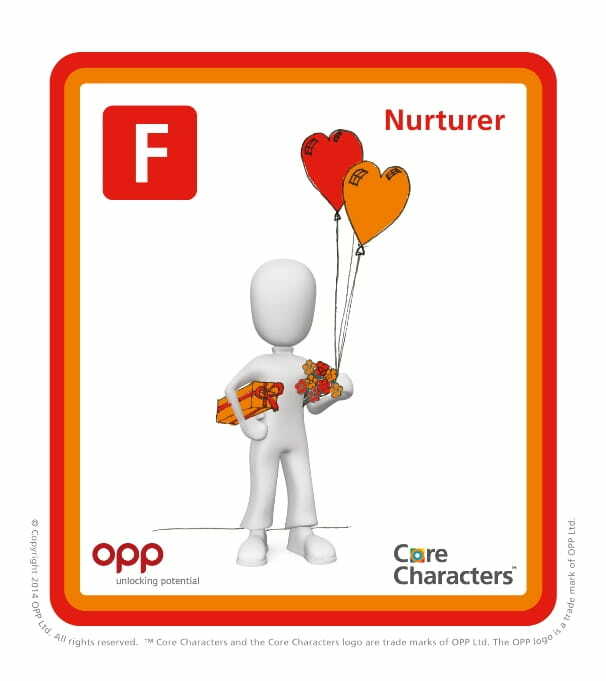 To help practitioners with this, OPP has created eight Core Character images, one for each of the eight functions. We originally developed these for our Type Dynamics in Action workshop and have used them in a poster that can be used to show the distribution of the functions in a team. 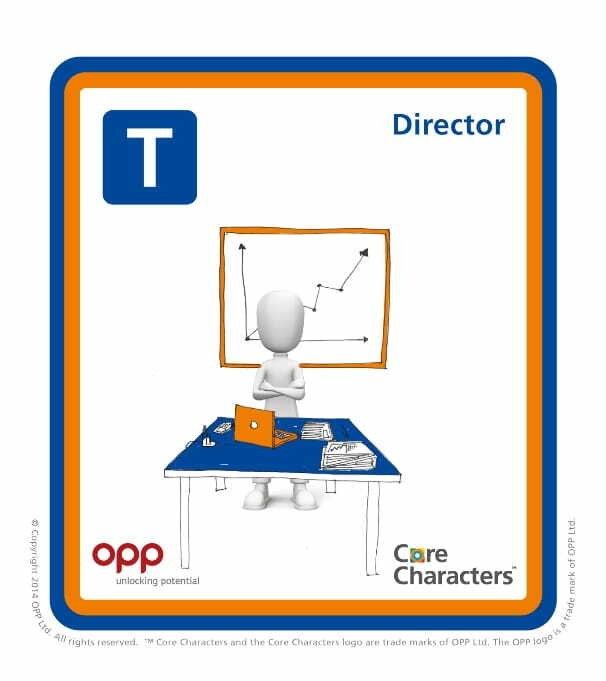 Each of us has a cast of characters with the dominant function taking the leading role. Click on your core character to download it from the 'Let's go deeper' image above. Core to each person’s Type is their dominant function, which is the part that gets most attention and is the root of a person’s intrinsic motivations. 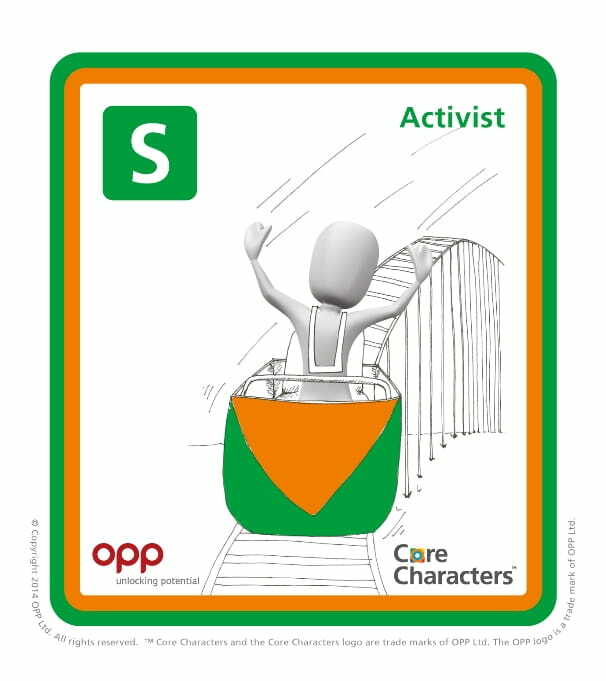 The core characters capture the essence of each dominant function in a name and an image, for instance in the Activist (Extraverted Sensing) image the figure is speeding on a roller coaster: living in the moment. This contrasts with the Conserver (Introverted Sensing) where the character is quietly filing, storing away the verifiable data they have experienced. In each image the character is colourless but interacts with coloured objects reflecting their dominant preference. These colour cues are used in many of our current resources such as the Flip a Type Tip!, Type posters, and Type tables. Our consultants have tested these new images with people who are learning about MBTI Type for the first time, and I’ve been impressed by how excited and enthusiastic people have been. “Type dynamics can be a difficult concept to get across, but I’ve found that using the core characters really speak to people in a way that words and jargon can’t”. 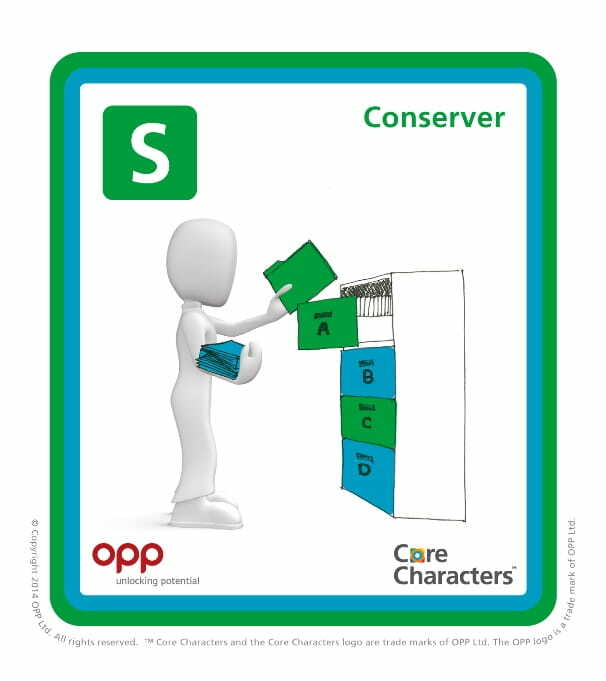 We have also developed a set of Core Character Cards (which are given to participants on the Type Dynamics in Action workshop) with one card for each dominant function: the core character image features on one side of the card, with concise information about that dominant function on the other. 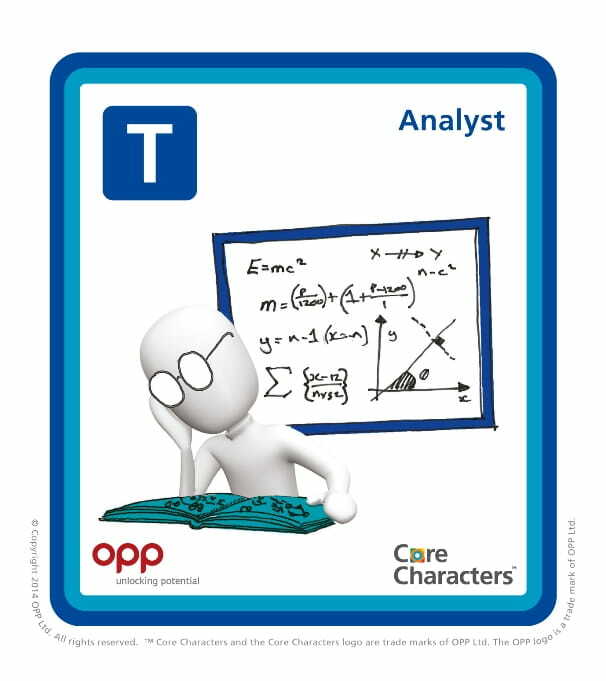 Included in the set are additional cards to make it easy to help those who are new to the MBTI framework to work out the order of their preferences. 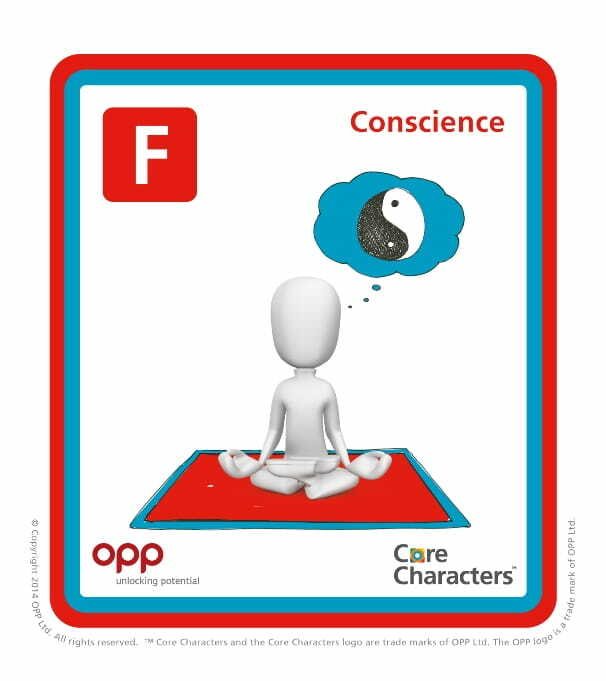 Of course, if you want to use the core character images in your own programmes for free, you can download the whole set in PowerPoint from the Practitioner resources (restricted to OPP MBTI practitioners) by searching 'core character', or click on the core characters in the images below to download them individually. 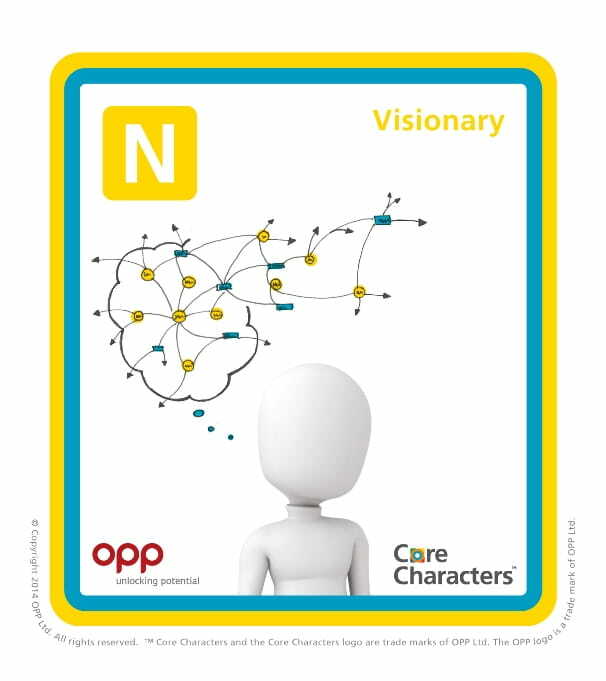 In a few weeks, we’ll be posting the next in this series of four blog articles about how we can put these core characters to use in our everyday MBTI work. In particular we’ll be looking at the transition of core characters under stress. If you don’t want to miss the rest of this series of articles, simply subscribe to our blog feed at the top right of this article.